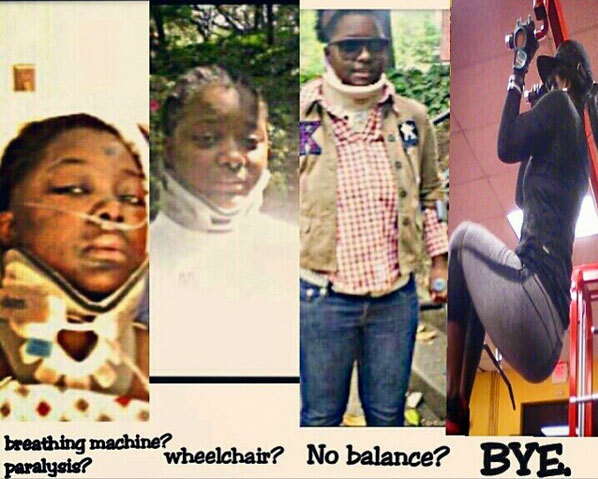 This is Keisha’s motivational story of how she went from a paraplegic, to lifting weights and training in the gym. Up until April 19th, 2008, I really could have cared less about my health. For some reason, I subconsciously thought I was invincible. On the morning of Saturday, April 19th, I went right into the shower after not sleeping for 72 hours, then went straight to work. I had received a phone call from my old college friend asking me to attend his sister’s birthday celebration since he was in town. I left work that day at 8:00pm, went home, changed, and was back out the door at 10:00pm to go and celebrate. For whatever reason, I had a funny feeling about going out that night. A grave type of feeling. Anyways, I put the eerily negative thoughts into the back of my mind while driving towards downtown Atlanta, then my check engine light turned on. “This has NEVER happened to me before,” I thought to myself. I felt like I should go back home, but I kept driving regardless. A few miles later, an overhead sign on the highway said “I-285 roadwork. TURN AROUND” yet, I STILL kept going. I did arrive to my destination, hung out until about 2:00am, then was walked out to my car by my friend and his family. I sat down in my driver’s seat and almost immediately fell asleep. “Keisha, you look soooo tired. You sure you want to go straight home?” I was asked repeatedly by my friend. I said “Nah, I just need to blast my music, roll my windows down and I’ll be good to go.” A few minutes later, I was back on the road heading home. My mom took the phone and spoke to him. He explained that my phone was by the broken window and he took down my # before the ambulance took me away to check on my status when he thought I would be OK, IF I had LIVED, that was. We never did meet that man. I am 100% sure that a guardian angel arrived on the spot the night of the accident to make sure I lived. Months and months later, when I proved the doctors wrong and actually walked again, they told me to join a gym and NEVER stop working. 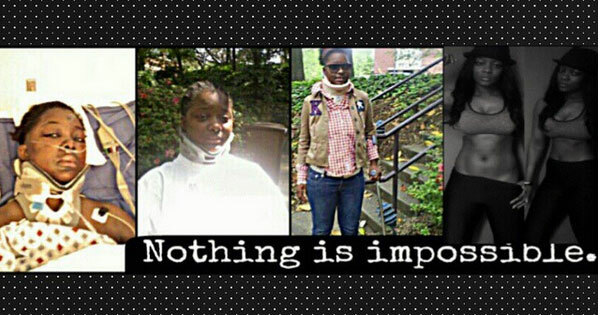 The less I moved, the easier it would be to revert back to the wheelchair. I started working for the Vitamin Shoppe and soon became a Store Manager. I had found a lifestyle that I loved and it honestly saved my health and my body. Simultaneously, I was introduced to my favorite brand of sports nutrition products, BPI Sports. I can sincerely say that over the years, I’ve become a huge fan of this brand. It helps me to stay fit and OUT of the wheelchair, but most importantly, it’s a constant reminder to #bePOWERFUL and never stop pushing forward. What’s your story? We want to hear how fitness has impacted or changed your life for the better. For a chance to get your story featured, email team@bpisports.net.